ProSim is available for Saurer as well as for Plauener embroidery machines. In both cases operation is in accordance with the same principle: The data of turns are read from an electronic data medium, converted to a code corresponding to the perforations of the card. With this code magnets in a compact magnet assembly are controlled and they directly drive the mechanism of the automat. ProSim has been developed for world wide application and meets the most important international standards and regulations. In case of malfunction, the last (actual) turn is immediately filed (saved). The error message is displayed on the PC-terminal. A standard PC is used. Communication via parallel interface with the master module. 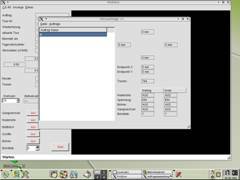 The ProSim operator software is based on SUSE Linux. 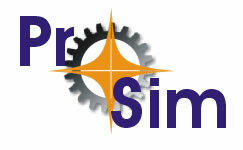 The system software is an integrated part of ProSim. All programs can be used during embroidery operation.